The above photo by Rod LeMay (Powell River Museum & Archives) carries the title "A home run strike by T. Geddes". 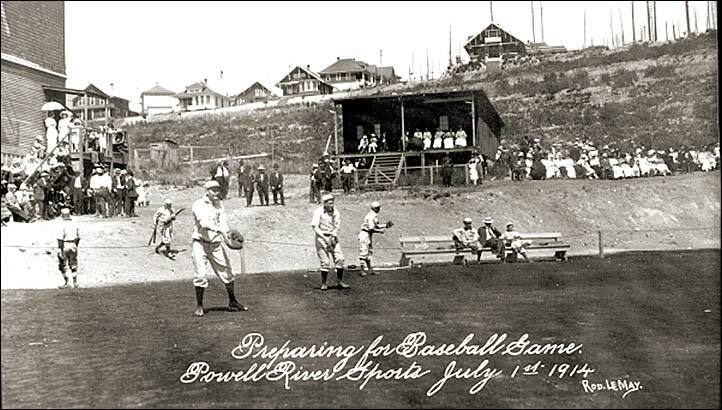 A large crowd turned out for the July 1st Sports Day in Powell River, BC. Below - an interesting picture of the the team preparing for the July 1st event with the houses and a portion of the crowd in the background. 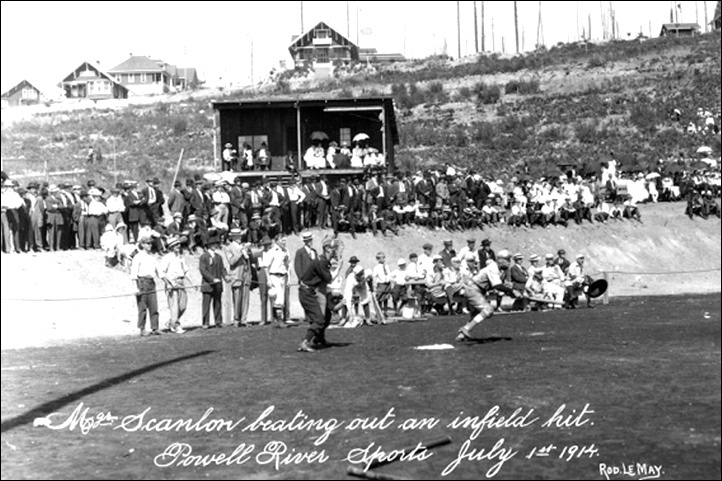 Below, Bob Scanlon (Powell River) gets an infield hit.